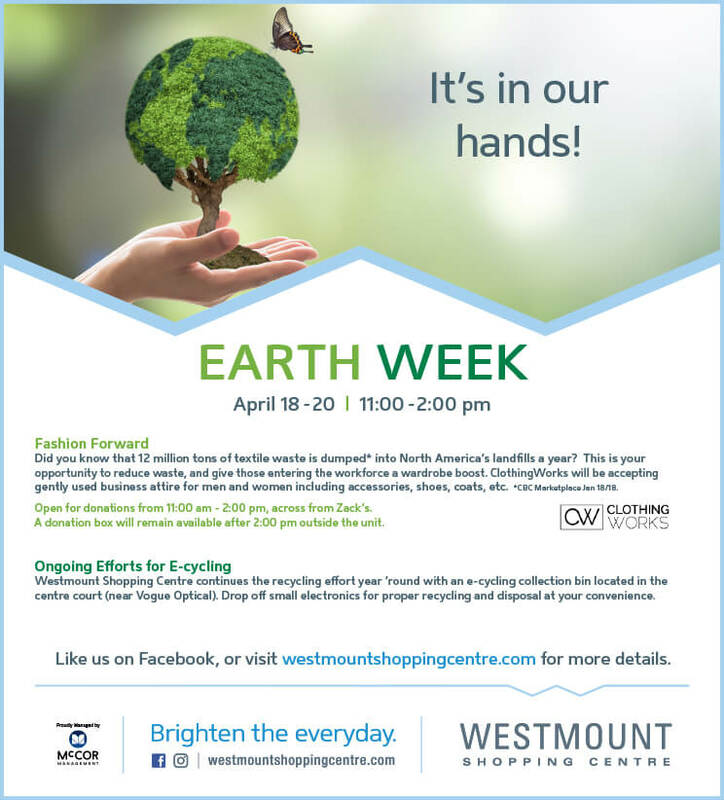 On April 18-20, 2018 stop by Westmount Shopping Centre to donate your gently used clothing, accessories and business attire. Our team will be on hand daily from 11:00am-2:00pm to accept donations across from Zack’s. Donations can also be made after hours.